Middletown Honda is excited for Superbowl Sunday's Ferris Bueller commercial featuring Matthew Broderick spending the day having fun in his 2012 Honda CR-V. If you want more information on this great SUV, visit Middletown Honda Today! 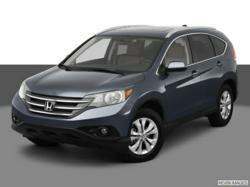 Honda’s new 2012 CR-V commercial features over a dozen references to the 80’s classic Ferris Bueller’s Day Off. This Sunday, millions of people will be tuning in for the biggest football event of the year, Super Bowl XLVI. This day happens to be just as huge for advertising as well. Viewers will get their chance to see an assortment of brand new commercials. There is a kind of informal competition that has been going on for years to see who can deliver the funniest or most memorable commercial shown during the game. This year, fans will relive one of the greatest movies of the ‘80s as Honda airs their new CR-V commercial on Super Bowl Sunday, featuring Matthew Broderick reprising his role as Ferris Bueller and ditching a day of work for a little fun around Los Angeles in his all-new 2012 Honda CR-V. The new two-and-a-half minute Ferris Bueller Super Bowl commercial featuring the new 2012 Honda CR-V is already creating a buzz. After being released on YouTube only yesterday, it has since gone viral, raking in millions of views. Watch closely and one will find that there are over two dozen references to the 80’s classic, including a fake sick call to the boss and even Yello’s “Oh Yeah” song made famous by the movie. The valet driver in the commercial even takes a liking to the vehicle and takes the CR-V out for a joyride. After the commercial aired, many believed that it may signify a new installment of the original Ferris Bueller’s Day Off. However, according to IMDb, the most reliable movie site on the Internet, that doesn’t seem to be the case. What the immediate success of the commercial does tell us is that people are just as interested in Ferris as they were 26 years ago, and, furthermore, drivers are waiting with equally high anticipation for the 2012 model of Honda’s best-selling crossover. While Matthew Broderick’s new Super Bowl commercial featuring elements from Ferris Bueller’s Day Off highlights the good looks and new features that the 2012 CR-V has to offer, drivers can visit Middletown Honda for an even closer look at this extraordinary vehicle. Middletown Honda is committed to providing their customers with the best selection of new vehicles at competitive prices. Contact them today to schedule a test drive of the new Honda CR-V.